An art-deco abandoned theatre in Bulgaria. A large abandoned communist party building in the Balkan Mountains of Bulgaria. A restored mine now used as a museum and events space. A large abandoned bath complex in Germany. A small power plant set in the remains of a huge steelworks in Belgium. A large telecommunications site in Belgium. 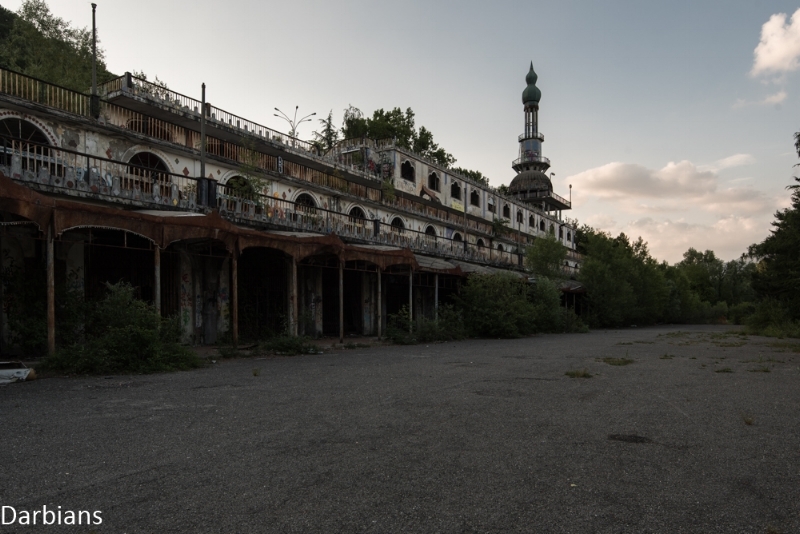 A large abandoned religious orphanage On the Swiss, Italian Border which originally opened as a Sanatorium for children. An abandoned holiday resort in the mountains of Italy. The remains of a large abandoned car/scooter factory in Italy. A grand abandoned villa in Italy.